Western blotting is one of the most ubiquitous procedures used in the life science research lab today. Commonly used to assess relative protein expression differences, accurate Western blot quantitation requires careful attention to procedural details and normalization. The most common normalization method is the use of housekeeping proteins (HKPs). This article will review the frequent challenges of using HKPs for normalization and propose an alternate method for verifying HKP results, and/or possibly replacing HKP normalization. Tubulin, GAPDH, and actin are frequently chosen as HKPs due to their general lack of variability associated with changes in experimental conditions. As a number of publications have shown, however, caution should be used when selecting HKPs since not all HKPs are constant under changes in experimental conditions or sample types. For this reason, it is often recommended that results are validated using multiple HKPs, adding time and complexity to Western blot experiments. The process of using HKPs for blot normalization can be daunting. Two widespread techniques are “strip and re-probe” and multiplex fluorescent detection. Using the strip and re-probe method, the protein of interest is probed and detected. Antibodies and detection chemistries are then stripped from the membrane using some combination of heat, detergent, or reducing agent. The blot may then be re-probed with HKP specific antibody and re-detected. Not only is the process time consuming, but inevitably, the stripping process will remove some level of antigen, thereby compromising downstream results. Multiplex fluorescent Western blotting is a more elegant solution, whereby multiple antigens can be simultaneously probed and detected using multiple fluorescently labeled secondary antibodies. Western blotting frequently requires optimization of blocking reagents, antibody concentrations, and incubation times. Users need to be mindful of challenges like antibody cross-reactivity, and should have an optimization process in place that validates the detection of each antigen separately, before attempting a multiplex detection. The challenges associated with the use of HKPs by stripping and re-probing, or optimization of multiplex fluorescent blot detection, can be avoided. A new, easier method uses Stain-Free technology for total protein Western blot normalization. Stain-Free technology is a unique in-gel chemistry that is available in Bio-Rad TGX Stain-Free precast gels. The gel formulation incorporates a trihalocompound that when exposed to UV irradiation activates a covalent reaction between the trihalocompound and tryptophan residues on the proteins in the gel, resulting in UV induced fluorescence. Stain-Free technology enables fluorescent visualization of 1-D SDS PAGE gels and corresponding blots using Bio-Rad Laboratories’ (www.biorad.com) ChemiDoc MP imaging system (Figure 1A). The quality of SDS-PAGE separations before blotting can be easily monitored and the transfer efficiency of the blotting process can be quickly inspected by imaging both the membrane (Figure 1B) and the SDS gel after the blotting process. Furthermore, using Image Lab 4.0 software, which is included with the ChemiDoc MP, the relative amount of total protein in each lane on the blot can be calculated and used for quantitation normalization. Stain-Free technology offers comparable sensitivity to conventional blot stains such as SYPRO Ruby and Ponceau S, and provides better reproducibility and linearity. Linear range of the Stain-Free technology is up to 80 µg protein for 18-well and up to 110 µg per lane for 12-well Criterion mid-size gels. This range fits well with usual protein loads in quantitative Western blotting experiments and enables loading control calculations over a wide protein-loading range. HKP-based normalization with GAPDH, actin, or tubulin needs to be optimized for antibody dilutions, incubation times, and imaging settings. This is a very lengthy process compared to Stain-Free technology, which gives accurate, standardized protein-loading control with no optimization. Figure 1. (A) HeLa cell lysate (2.5–80 µg total protein per lane) separated by TGX “any kD” Criterion Stain-Free 1-D SDS gel (18 slots) and imaged with ChemiDoc MP. (B) HeLa cell lysate (2.5–80 µg total protein per lane) separated by TGX “any kD” 18 slot Criterion Stain-Free 1-D SDS gels, blotted to nitrocellulose membrane and imaged with ChemiDoc MP. M = marker proteins. Proteomic technologies like 2-D PAGE are customarily used in semi-quantitative protein-profiling studies. After identification and characterization of the respective deregulated protein spots by mass spectrometry, the quantitative data needs to be confirmed by a second, independent method like Western blotting. In a recent proteomics study conducted by the department of radiation oncology at LMU, Munich, the effect of γ-irradiation on a human LCL cell line (lymphoblastoid cell line) was studied by 2-D PAGE. Among many other deregulated proteins, MCM7, a DNA replication factor, was identified to be down-regulated by about a factor of two in the irradiated LCL sample. To validate this result, a quantitative Western blotting experiment was performed with monoclonal antibodies raised against MCM7. Two data-normalization methods were applied and compared, namely data normalization with the GAPDH HKP and Stain-Free technology. 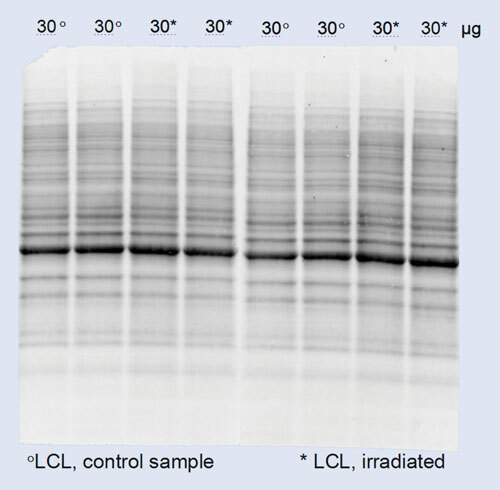 Figure 2A shows the corresponding high-quality PVDF blot of the LCL samples before antibody incubation. Figure 2a. LCL cell lysates (30 µg total protein per lane) separated by TGX and kD Criterion Stain-Free 1-D SDS gel, blotted to PVDF membrane and imaged with ChemiDoc MP. Figure 2b illustrates probing the same PVDF blot for target protein MCM7 and loading control protein GAPDH using a multiplex fluorescent approach. By running a dilution series of the LCL samples from 10–50 µg per lane, it was verified beforehand that the 30 µg protein load in combination with the antibody dilutions as described in Figure 2B give linear fluorescent signals. Data normalization of the MCM7 signal intensities with GAPDH data and Stain-Free data revealed that the downregulation factors of MCM7 are 0.59 with GAPDH (p-value <0.03) and 0.44 with Stain-Free (p-value <0.008). Both factors reflect well with the expected downregulation of about 50% initially obtained from 2-D PAGE experiments. The comparison of raw MCM7 signals (no normalization) reveals a downregulation factor of 0.48 (p-value <0.02) with 35% standard deviation. Although it is possible to use housekeeping proteins as reference for data normalization, especially if used in a multiplex fluorescent experiment as described here, it is highly recommended to consider Stain-Free technology as a more comprehensive and robust tool for quality management in Western blotting, particularly when protein deregulation factors are small, e.g., in the 10% to 20% range. Figure 2b. Immunofluorescence imaging of DNA replication factor MCM7 and housekeeping protein GAPDH (serves as loading control) of LCL samples with ChemiDoc MP at different wavelengths. Monoclonal antibodies against MCM7 (mouse) and GAPDH (rabbit) were diluted 1:1,000 and 1:2,500 respectively. Secondary antibodies from Rockland were antirabbit DyLight 549 (1:10,000) and antimouse DyLight 649 (1:20,000). Bio-Rad’s latest imaging system, the ChemiDoc MP, is designed to enhance Western blotting. As Bio-Rad’s most sensitive imager, the ChemiDoc MP is designed to meet the imaging needs of a multi-application environment. Capabilities include chemiluminescent and multiplex fluorescent Western blot detection, and gel documentation. The Stain-Free feature of ChemiDoc MP enables researchers to take advantage of techniques such as Stain-Free total protein normalization. Whether users are accustomed to chemiluminescent detection, multiplex fluorescent detection, or would like to take advantage of Stain-Free technology, the versatility of the ChemiDoc MP meets the diverse needs of modern laboratories. The use of Bio-Rad Stain-Free gels and a Stain-Free enabled imaging system can vastly improve the Western blot process. Protein separation can be visualized on the gel after electrophoresis. Protein transfer to the membrane can be confirmed and assessed prior to blot detection, and blot normalization can occur without the extra steps required for typical HKP detection. These improvements enable faster time-to-results and higher data confidence. Ryan Short (Ryan_Short@bio-rad.com) is a marketing manager in the lab separations division of Bio-Rad Laboratories. Anton Posch, Ph.D. (Anton_Posch@bio-rad.com), is a staff scientist in the protein technologies R&D group at Bio-Rad Laboratories.